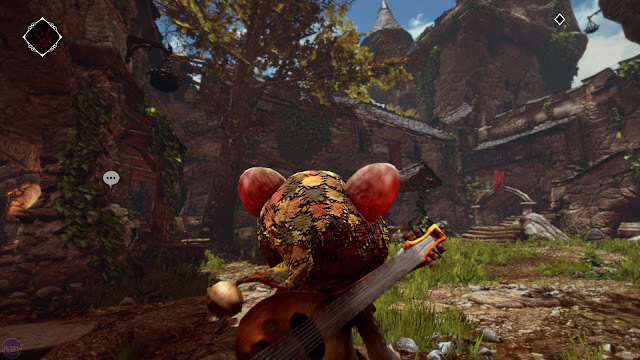 Ghost of a Tale represents the indie development spirit at its best. A delightful little stealth game, produced largely by a single person, it's a game the eschews refinement for spirit and soul, and as a result it's one of the more memorable examples of its genre. 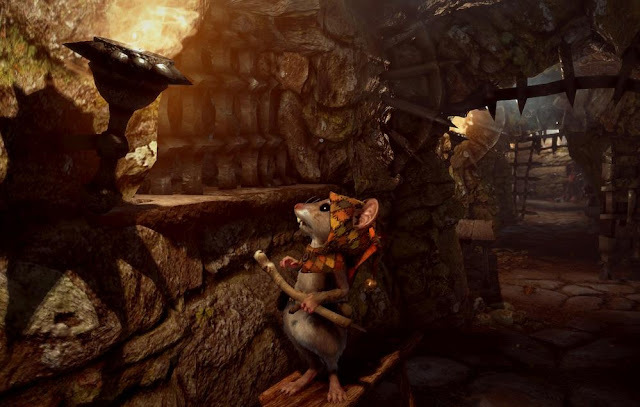 In Ghost of a Tale, you play as Tilo, a mouse minstrel that finds himself trapped in a hostile world of anthropomorphic animals, ranging from rats through to hawks, badgers and crabs. Mice are not loved in this world, thanks to their role centuries ago in siding with an existential threat to all other living species (a green flame that spawns undead, and is very Tolkien in tone). Tilo finds himself imprisoned in a dungeon right from the start of the game, and then needs to escape and go on a lengthy quest to piece together exactly what happened in the past... and rescue his wife, who has been trapped at the top of a very tall tower (a very Grimm thing to do). The game was supposedly inspired by the likes of The Dark Labyrinth and The Secret of NIMH, and that much shows. There's been particular attention shown to giving each character and animal species their own individual quirks, while ensuring that they also remain human enough to be relatable. This is particularly true of Tilo, who is adorable in his heroic mousey-ness while also being, by far, the weakest thing in the world around him. 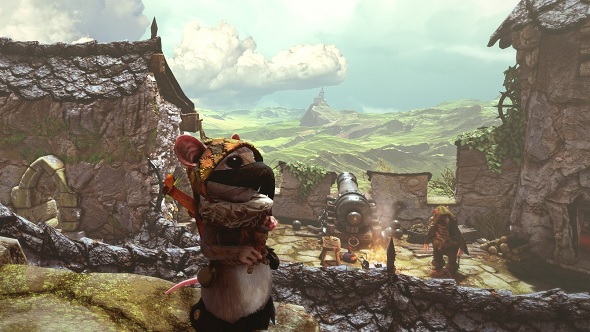 A Ghost of a Tale is a game of pure stealth, and Tilo has almost no means to fight back, and in that context, the fact that the world feels so big around him is only appropriate. Ghost of a Tale's world is effectively open, but it's small; really, only a single castle. But because of the looming size of everything in that castle (from the perspective of a mouse), and its labyrinthine construction, it feels both expansive and intimidating, and is a playground for exploration and adventure that belies its physical size. Though it's a trite comparison to make, in terms of the world design, A Ghost of a Tale shares the same imaginative spirit of Dark Souls. 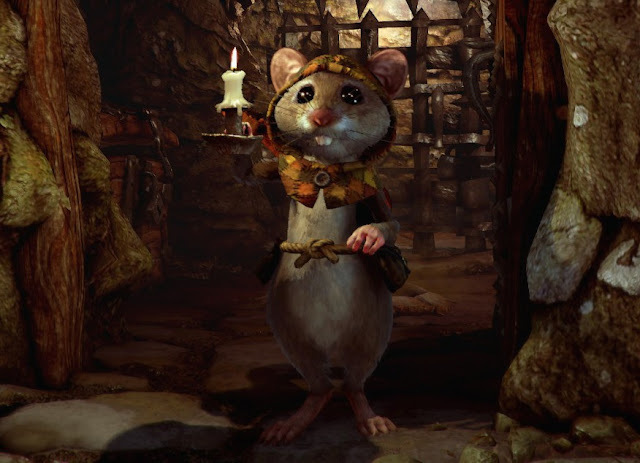 Rather than be a linear path of things to do, the world in A Ghost of a Tale keeps winding back on itself, slowly unlocking shortcuts back and forth as you clear rubble out of the way, or kick down ladders to help you scale walls that were previously impassable. It's a clever way of making the most of the space by forcing you to constantly backtrack and crisscross the world, without ever becoming monotonous, because you're always finding new ways to get around. As a stealth game, avoiding enemies is the perpetual challenge in A Ghost of a Tale. The stealth action works well enough, and is instantly familiar - enemies have little meters above their heads that slowly fill up as they become more aware of your presence, but by being quiet and quick, you'll be able to get around without arousing suspicion. Additionally, there are all kinds of hiding places you can use. Assuming the enemies don't see you jump into a barrel or wardrobe, they'll lose track of you and eventually give up the pursuit. The relative inexperience of the developer is on show here, because the frequency of those hiding spaces, as well as their arbitrary and obvious placement, does detract from the suspension of disbelief in the world a little. Worse, it makes the stealth generally too easy, to the point where it's more of a chore to work your way around enemies than a feature, but thanks to various hide and seek and room escape puzzles that pop up along the way (and generally have to be done while also being stealthy), A Ghost of a Tale does well for a genre that small developers don't usually tackle. In addition to the main narrative arc, which concerns Tilo attempting to break into a tower to rescue his wife, who was thrown in there for embarrassing the king, Ghost of a Tale has a number of friendly characters, who will ask Tilo to do them favours (i.e. give him side quests). These are the weakest part of the game, as they pull you away from the main adventure, and rarely amount to anything more than arbitrary fetch quests. The rewards are worth it - indeed, they're often essential - but for a game that otherwise offers such a vivid vision, the side quest structure sticks out as a disappointingly flat note. One of the neatest features - and something that had me obsessed with completing side quests and actively looking for nooks and crannies to nose around in, was the costume system. Throughout the quest it's possible to unlock a range of different costumes that Tilo can wear, which are broken down into a number of pieces. Once all the pieces are assembled you can turn Tilo into a pirate, a guard, a king or a thief. Each individual piece will change Tilo's stats - some will make him speedier at the expense of making enemies more aware of his clanking around, for example. The real benefits are found once you've discovered every piece of a costume, because then Tilo gets some major boosts, and the costume that you're wearing can affect how those around you interact with you. The boosts make those costumes essential in order to complete much of the game, but really, the appeal of them is much simpler than that; Tilo looks adorable when he's all dressed up. Much of the emotional weight of A Ghost of a Tale rests on how much of a bond you feel with Tilo. Those costumes are a central part of that. Speaking of emotions, A Ghost of a Tale's conclusion will likely play with yours. Without giving too much a way, its use of a sort of cliffhanger ending is remarkably brave in the games industry, given how little tolerance the mainstream tend to show for anything that encourages them to think for themselves. But it's also an essential ending, as it leaves significant questions about Tilo and his wife, as well as the world around them, and this is important because the moral core of the story is designed to be ambiguous. 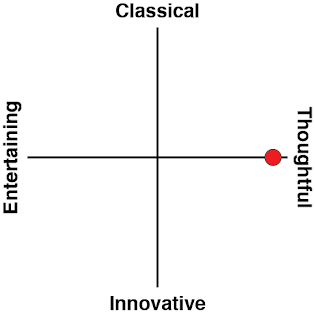 If there were clean answers, then much of the impact will be lost, so the developer has clearly worked hard to build that emotional connection between you, Tilo, and the other oddballs of the world, and then leave it to you to figure out your own interpretation of events in the end. A Ghost of a Tale is a solid vision, and done justice given its the development constraints. It was remarkably brave of the developer to tackle a genre and subject as complex as this, and it's a remarkable achievement that it has come out the other end as compelling and deeply playable as it is. 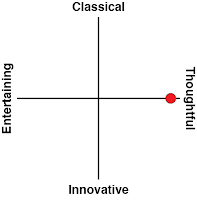 It's these kinds of games that make the fascination with the "AAA" blockbuster space so tiring; why play something so utterly sterile and safe (but looks big budget), when you can play something that looks close enough, and comes with vivid creative energy and artistic vision?